The Imperial Library was founded in 1891 by combining a number of Secretariat libraries. Of these, the most important and interesting was the library of the Home Department, which contained many books formerly belonging to the libraries of East India College, Fort William, and the East India Board in London. But the use of the library was restricted to the superior officers of the Government. Long before the Imperial Library founded, a subscription library, called Calcutta Public Library, ran in Metcalf Hall since 1836. Donations of books from individuals formed the nucleus of the library. Poor students and others were allowed to use the library free of charge for a specified period of time. Any subscriber paying Rs 300 at one time or in three installments was considered a proprietor. Dwarkanath Tagore was the first proprietor of Calcutta Public Library. 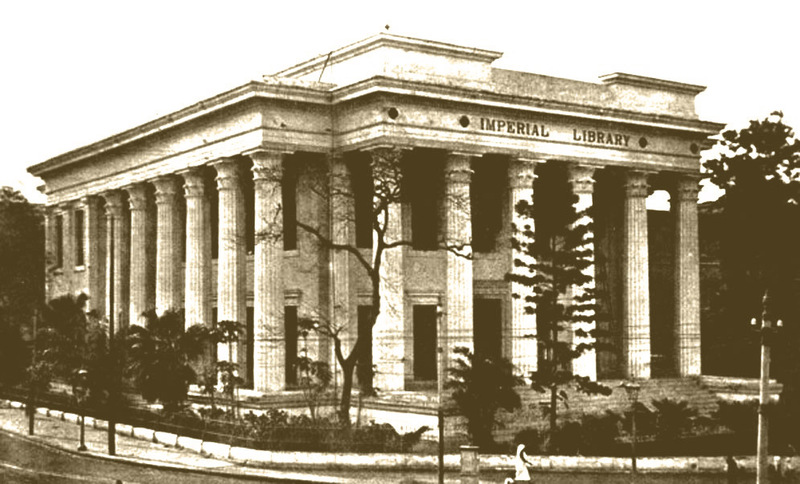 The then Governor General of India, Lord Curzon, observed that the Imperial Library and Calcutta Public Library were not being used as expected because of limited access and lack of amenities and felt the need of merging the two for best utilization of their resources. John Macfarlane, Assistant Librarian of the British Museum, London, was appointed the first Librarian of the Imperial Library. After his death, the polyglot scholar Harinath De took over the charge of the library. J. A. Chapman succeeded him in 1911. This entry was posted in Educational Institution, Establishments, Government Establishments, Socio-Cultural Institutions and tagged buildings, calcutta, calcutta public library, harinath de, imperial library, j a chapman, john macfarlane, lord curzon, metcalfe hall, public buildings.